Can you actually believe that we are already in April? I'm so excited to see all the spring makeup looks and adoring all the pastels colours, however I am completely over this rain. So receiving a cheeky little delivery brightened my dull morning. The GLOSSYBOX for April is a theme dedicated to all things nostalgia, taking inspiration from all things from the past. This months box definitely features more makeup than past boxes; with all the items I received being cosmetics apart from one. So opening all these beautiful makeup treats definitely brightened my day, that's for sure. So without further ado, let's see what's in the Glossybox for April. Carmex. Lip Balm in Strawberry. | RRP, £2.79. I am sure most of use know what Carmex is and probably owns at least three tubes. No, just me that keeps this little tubes of wonder in every drawer, every handbag and every pocket then! But if you don't, you really should get some as this is amazing for dry and chapped lips. This medicated lip balm goes on smooth to soothe and protect dry, chapped lips with SPF 15 and with the amazing scent of strawberry flavour. This Carmex lip balm provides a long lasting protective barrier to help with healing which is great as a little goes a long way. 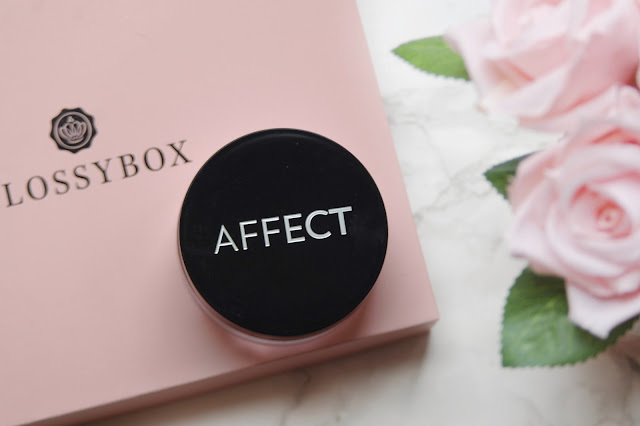 Affect Cosmetics. Matte Effect Translucent Loose Setting Rice Powder. | RRP, £9.35. Now I must make a confession, I didn't have a clue what rice powder was until I read the description on the Glossybox card included in the box. But it's something that is pretty new in the whole setting powder family, being a combination of mica and rice starch to give a perfect matte finish. Now I know that so many people and bloggers rave about banana powder, but for me it just seem far too yellow for my skin tone. So I am pretty excited to include this one into my makeup routine and so far it's been amazing, like why are we only discovering this one now. It's helped me achieve such a flawless look and this will be something that I will be using more often. Eyeko London. Fat Liquid Eyeliner in Carbon Black. | RRP, £16. Bringing back bold lines from the 50’s, 60’s and 70’s, inspired by the looks of Brigitte Bardot and Twiggy, this little liquid eyeliner is set to deliver some serious winged effect punch. This was the product that I was most excited to receive, but let's face it, eyeliner has never really gone out of fashion. I have to say I love discovering a new eyeliner, and this one is pretty epic and gives me some of the best winged eye looks. It’s smudge free and the fat felt tip end helps make my winged eyeliner work like a dream. Modellauncher Cosmetics. Safari Bronzer. | RRP, £20. Bringing back the 90’s with a leopard print bronzer, this talc free, mineral-enriched bronzer is versatile for every complexion. 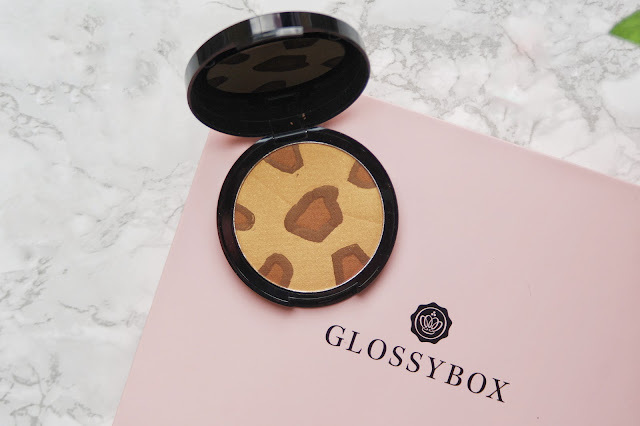 It’s has a very cute design of leopard print and I am really excited to try the mixture of different bronzed colours on my cheeks. It's not something that I normally go for as I prefer to work with solid colours when it comes to creating the desired bronzed look. I also like the idea that some of the shades in the compact bronzer have a shimmer to them which is prefect for this time of the year. 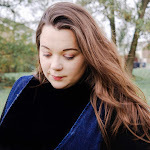 I have used it already and added some bronze to a my cheek bones, the bridge of my nose, and over my forehead and chin giving me a definite sun kissed look. Karl Lagerfeld + ModelCo. Baked Blush in Light Beige. 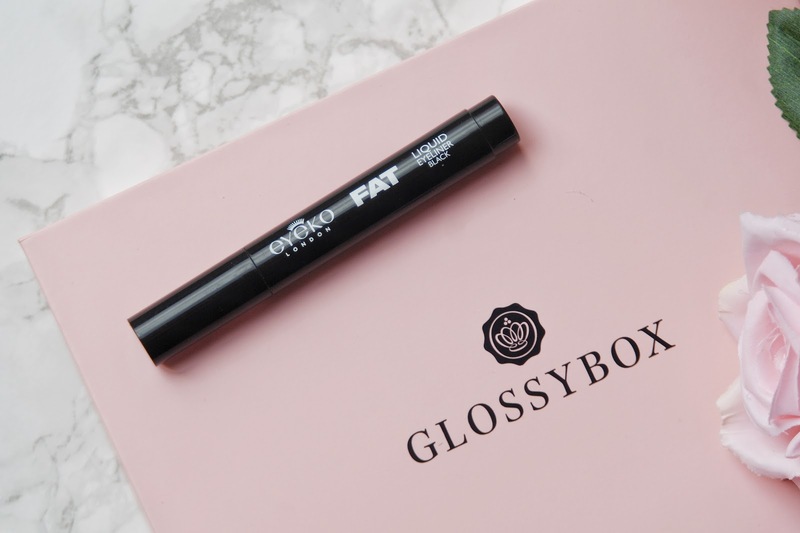 A GLOSSYBOX Exclusive!!!! A natural blush in the shade Light Beige, this is a far from the bold blush looks of the 80’s. This baked blush brightens and highlights all complexions, and it's so pretty and looks super pigmented. I was so excited to try this as it's not even been released yet, a Glossybox Exclusive! Yes please. This shade is a light beige and looks ideal for my skin tone. This highlighter has iridescent pearl pigments and light reflecting particles leaving an instant luminous glow with a warm tone and comes in a good size too. Now a blush is not always something that I grab when I am looking for an everyday look, but I really like this one. It offers more of a shine than a glisten which is perfect for a subtle glow appearance, no one wants to look like Edward Cullen! But this highlighter is super pigmented and gives just the perfect illusion of a shine, that's not too much. And that’s a peek at April's GLOSSYBOX, so what did you think? I must admit, this box is pretty epic and has so many great products that are full sized. This has by far, been my favourite box. This box focuses on throwing back to the beauty of the bygone eras to celebrate favourite timeless trends and reminisce about certain looks. However beauty is all about mixing up timeless looks with new trends and this is exactly what this box helps you do. 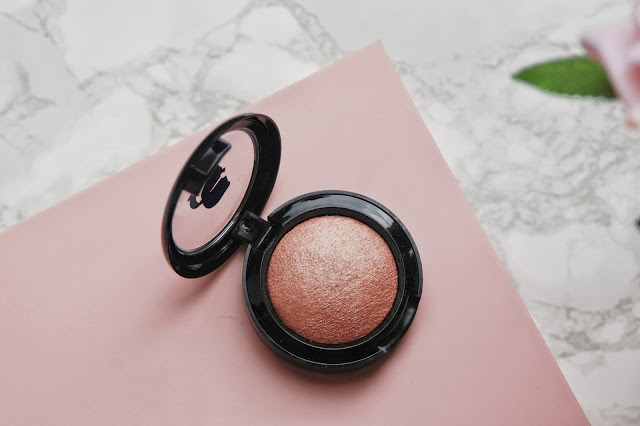 There are two products that stand out the most for me and these are the rice setting powder and the beautiful glow of the baked blush, which is going to help me achieve the perfect sun kissed look. 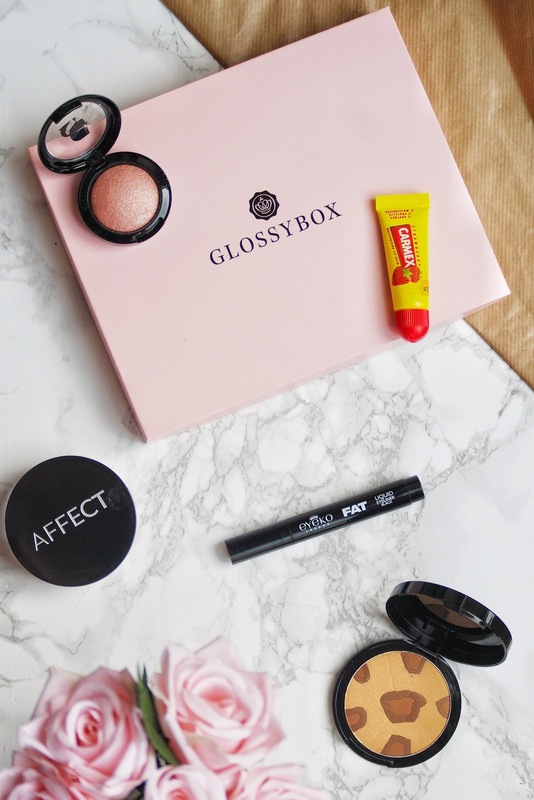 GLOSSYBOX - March 2018: Have a Glossy Spring. 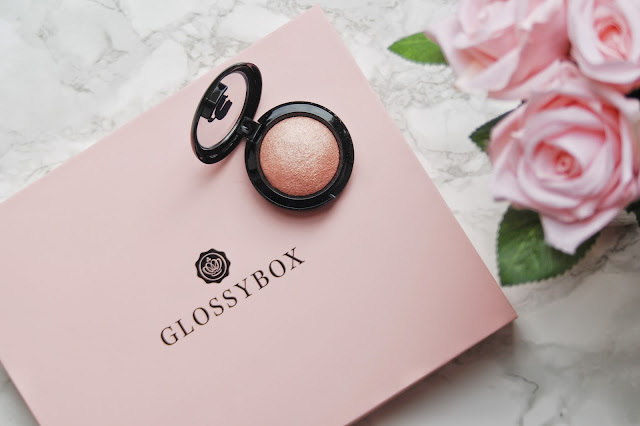 8 comments on "GLOSSYBOX - April 2018: Nostalgia"
this months box was wonderful! I love the chunky eyeliner!! The blush looks stunning, I would love to see a swatch! i love glossybox!! i love carmax!